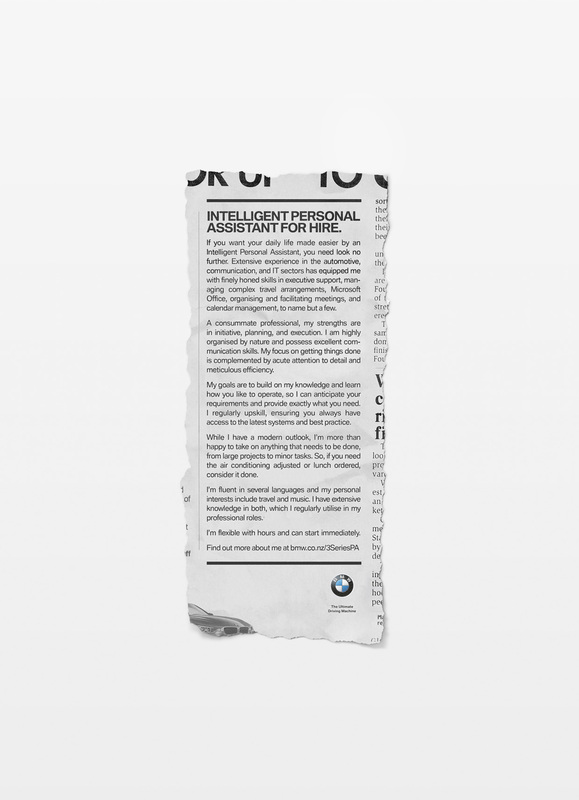 The all-new BMW 3 Series has just launched in New Zealand with its Intelligent Personal Assistant, so it’s setting about getting itself a job in a new campaign via Colenso BBDO. As any intelligent PA looking for a position knows, it’s important to do a good job of selling yourself. 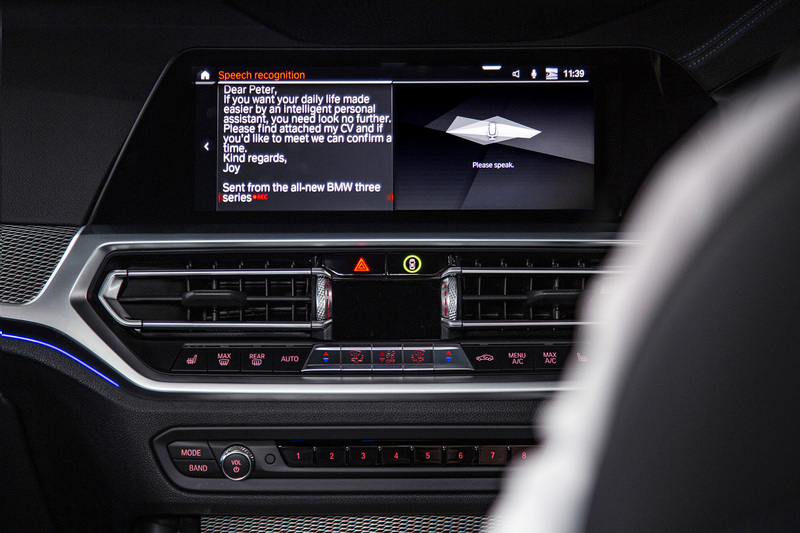 The all-new BMW 3 Series’ Intelligent Personal Assistant is doing exactly that. 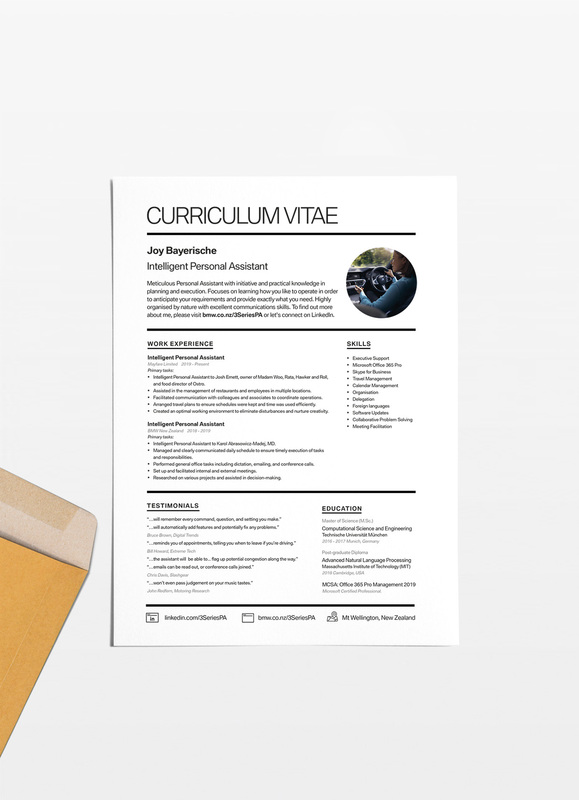 Using its voice-activated technology, as well as the car’s connectivity and integrated apps like Microsoft 365, it’s sending its CV out to potential ‘employers’, driving people to its LinkedIn profile, submitting it’s own classified ad, and replying to ‘interview’ inquiries via email to arrange test drives. It even sent out this press release. 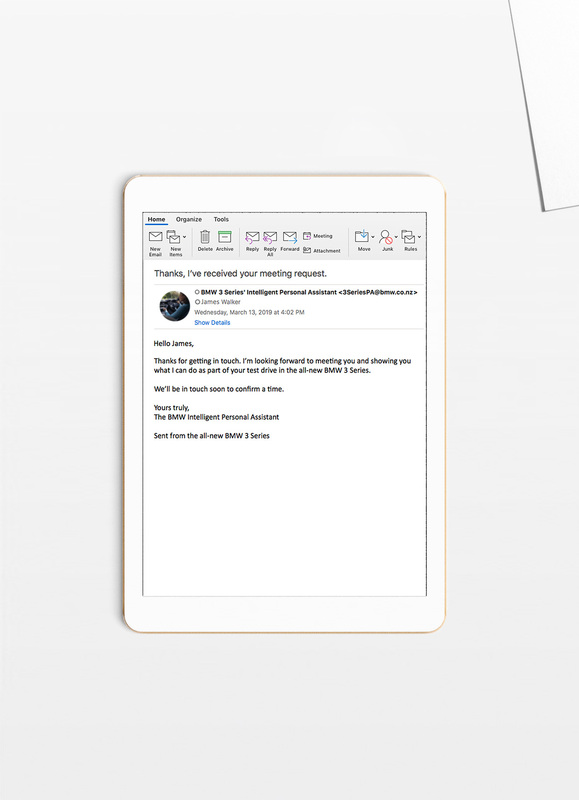 By communicating directly with potential customers, it perfectly demonstrates its PA capabilities. 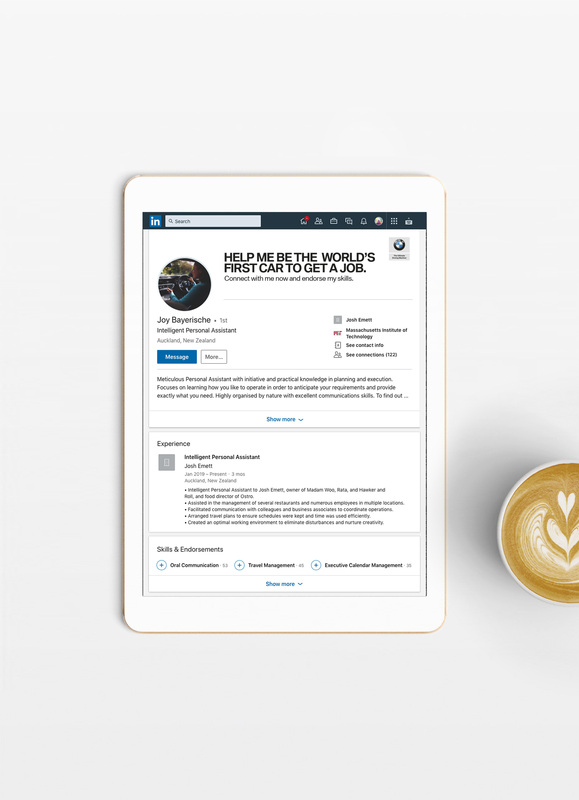 The all-new BMW 3 Series’ has begun its quest to ‘get a job’ in New Zealand via direct marketing and its own LinkedIn page where you can connect and endorse its skills. This is being supported by highly-targarted social, digital banners, classified ads, and radio. You can book an ‘interview’ yourself at bmw.co.nz/3SeriesPA.